Olympus Up is the Nectar for the Gods pH up product. Most gardeners know to adjust the pH of their nutrient solution before use. By using liquid calcium as a pH adjusting component, you will add more calcium to your plants’ cell structure, promoting cell wall integrity. Residual Olympus Up in the soil will increase aeration, promote microbial activity by offering a food source for the soil biota, and contribute to nutrient delivery. Olympus Up is essential when using Herculean Harvest. 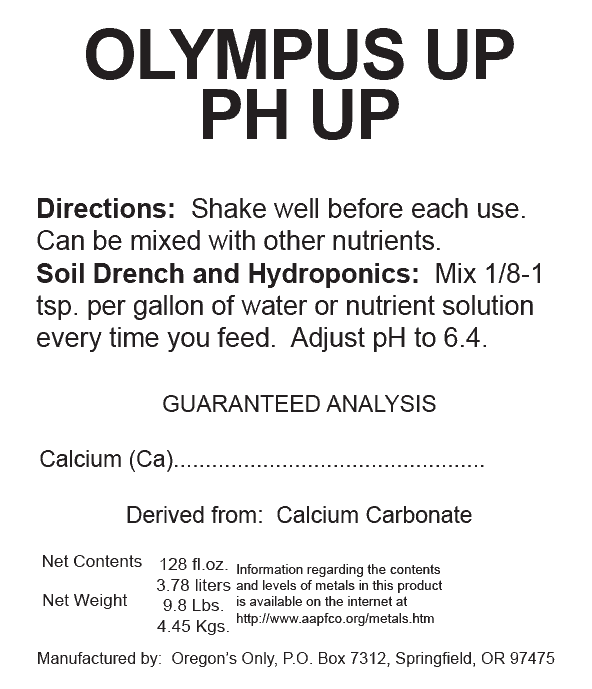 We recommend using Olympus Up with Herculean Harvest to form an amazing calcium food source for soil microbes. They may also be used together for a more efficient flush, either at the end of your growing cycle, or in new potting medium to stabilize pH and prepare for planting. 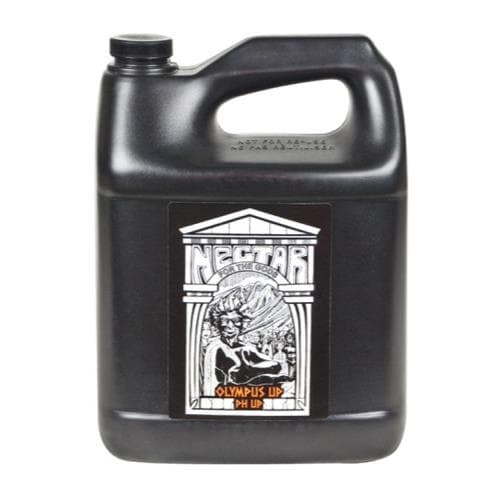 Olympus Up, from Nectar for the Gods, is a Calcium based pH Up product. Soil Drench: Mix 1/8 tsp – 1 tsp per gallon of water.